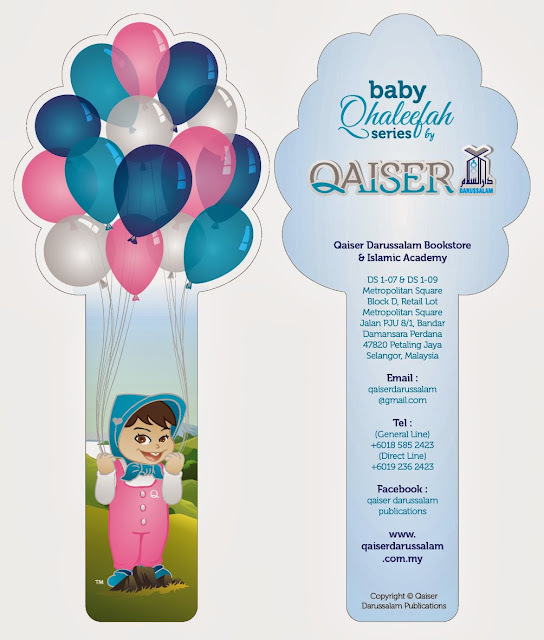 fabulous motherhood: Baby Qhaleefah Series.. The new face-lift of Baby Khalifah Series has been launched recently..
Now its already known as baby Qhaleefah series.. This product currently take over from Islamic Kids Media by Qaiser Darussalam.. Proudly introduce new baby Qhaleefah series by Qaiser Darussalam..
Let's see the content of new Baby Qhaleefah Series.. There are 6 interactive series consists of My Family, My First Iqra', My First Adab, My First Kalimah, My First Solat and My First Arabic. 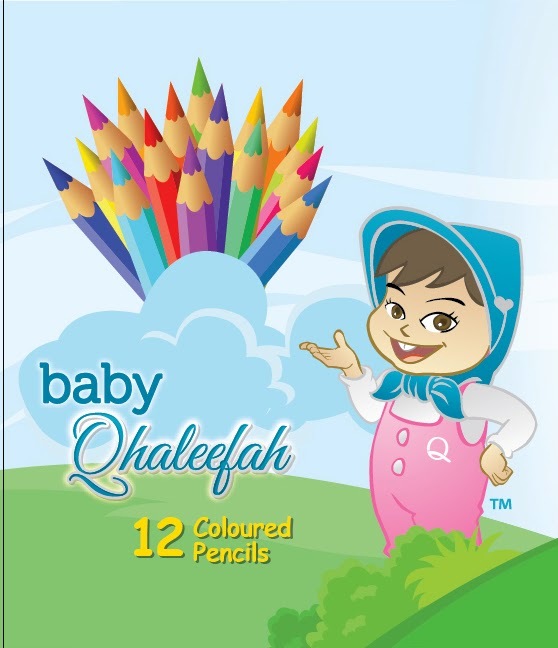 Good news is, there are additional 2 cds for video clips and musics with overall design of new baby Qhaleefah series are so colorful and attractive! Besides of cds and workbooks, there are also 4 more interesting items inside this fun and interactive box! 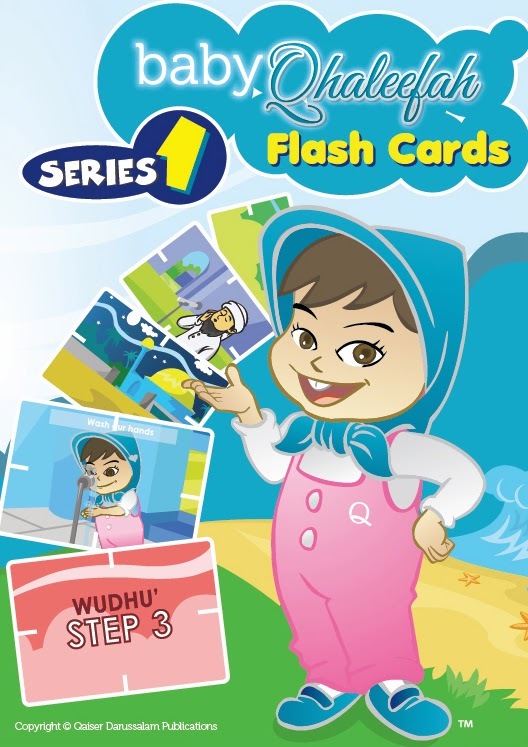 baby Qhaleefah Flashcards Series 1 consists of 8 steps of Wudhu and Niah of Shalah (Solat)..
Lovely bookmark of baby Aisyah..
And last but not least the cute car sticker.. If you want to know details, still can refer this review of previous baby khalifah series.